Catching up on the finds from before I went out to the US on vacation and since I have been back in England. 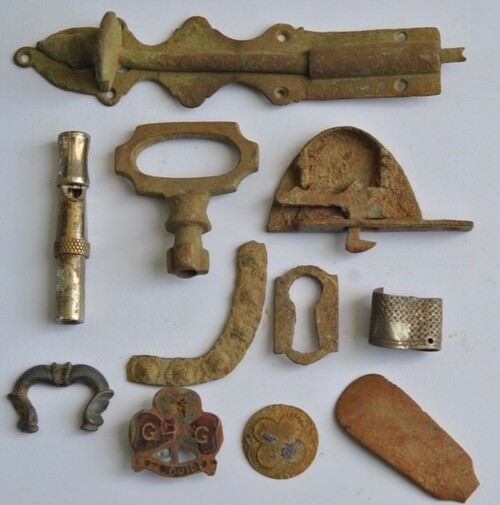 Finds from various farms and fields ranging from stubble, grass and even a failed crop field. Crop now ploughed back in. Gold at the end of the rainbow, yes. Patent number inside, not common? 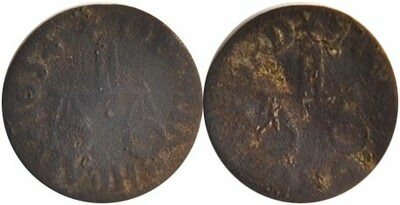 Henry 2nd AD1154-1189 'Tealby' cut half penny left. Unknown trade token, I think. Roman 2nd-4th century coin left. ...and yes I did find gold. 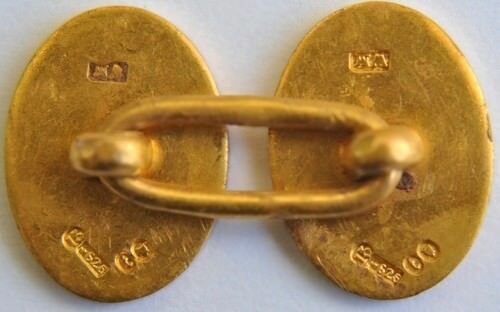 I don't recognise any of the gold stamps on this 15K cufflink. Enjoy your post so much. The rainbow is beautiful .the discoveries are fantastic Do you know the history of the place you hunt? Wow amazing hunt Doug! Anything on the front of the links? Congrats! Your silver bracelet appears to be marked sterling as indicated by the Lion. The Anchor symbol indicates Birmingham assay office. And the O would be the date, 1963. 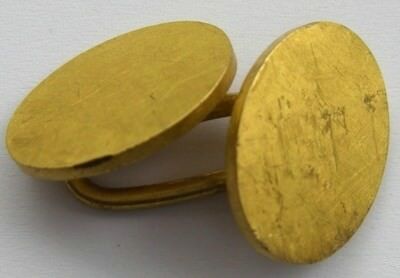 The cufflink is a bit more difficult as I can't see much detail in the image. The one on the right seems to have more detail left in the stamps, if you can get a more clear and closer image, Im happy to poke around a bit and see what I can find. Always enjoy your posts! The span of years represented in your finds always amazes me. Congrats on the gold! Good finds as always Doug. What do the front of those cuffs look like?? What a bunch of great finds. Fun stuff! 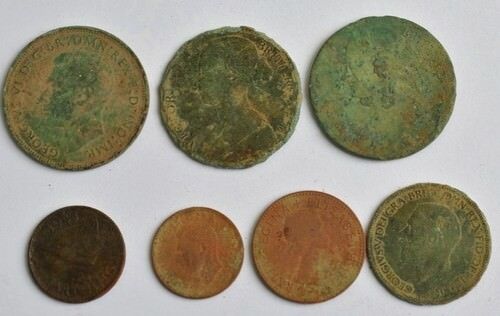 Amazing finds, the relics and gold are incredible. I too immediately thought Theodore Roosevelt. 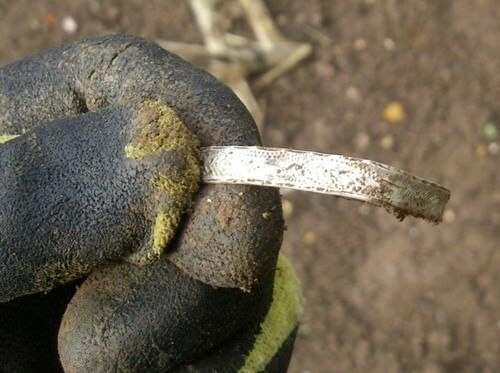 nice finds you have there! Love the gold! Everyone loves a true "gold at the end of a rainbow" story! Great report full of goods! Is that a dog whistle there, just above the medieval buckle? Doug, you are well known for not only your impressive finds and great photos of artifacts and coins, but for your amazing ID's of many ancient fragments and indiscernible ancient coins and such. Yet, you are having trouble with patent numbers and British hallmarks? Too easy for ya? Congrats on the gold and Roman coin and silver anything. Yes it is a dog whistle above the buckle. 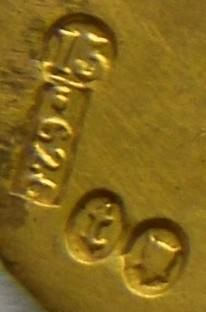 The English hallmarks are a common stamp on gold/silver items. Photograph taken from the SW corner of the Rectory fence. The Rectory was once the private residence of the Officer Commanding south west forces England. Nothing on the front of the cuff-links, kinda surprises me a bit. This is the best I can do, not sure which is up? Makers mark, WM or MW at the top. Thank you for all your kind comments and views.